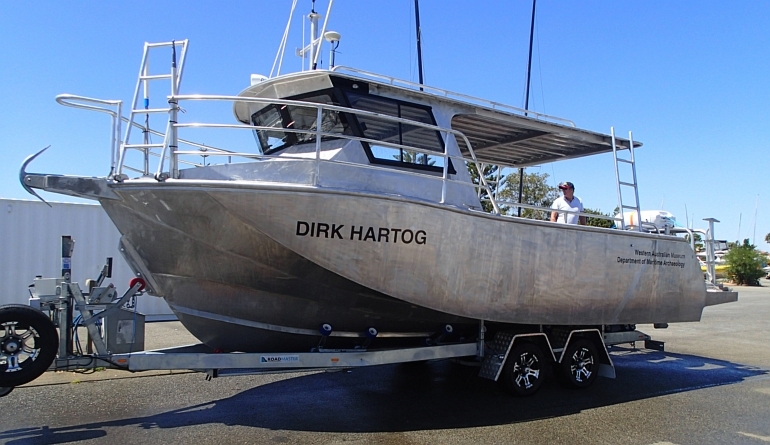 The 7.8m Air Rider(R) ‘Dirk Hartog’ is the Western Australian Maritime Museums latest acquisition and will be used to support divers researching historic sites. 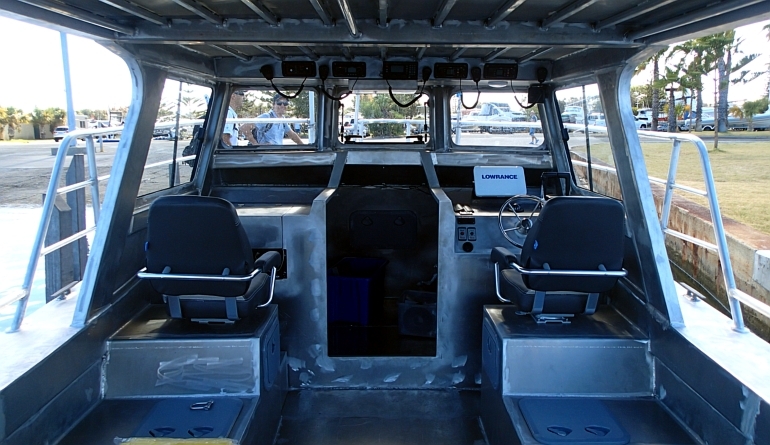 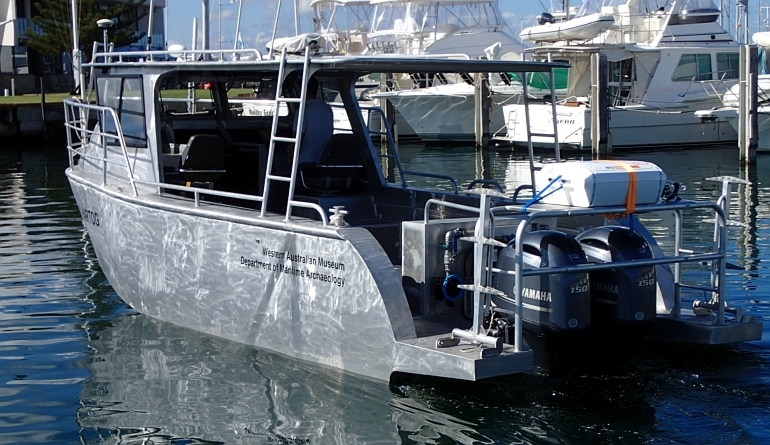 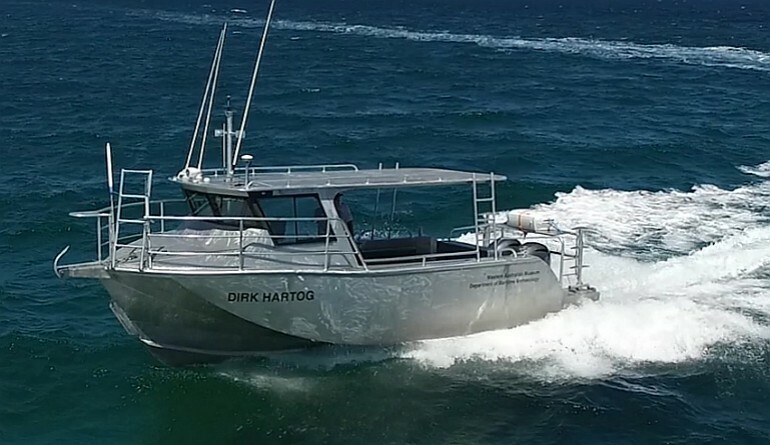 The vessel was assembled by Saltwater Marine of Fremantle from a custom Global Marine Design aluminium Marine Kit. 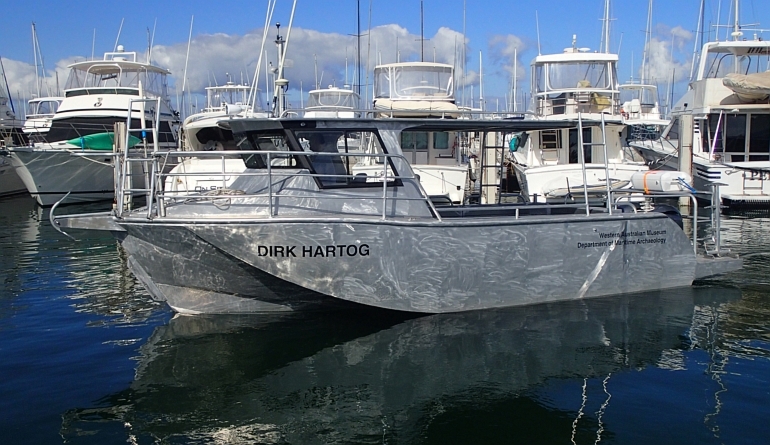 Designed and built to NSCV 2C (4+2) for diving personnel, the rugged ‘Dirk Hartog’ is destined to provide many years of service to the museum. 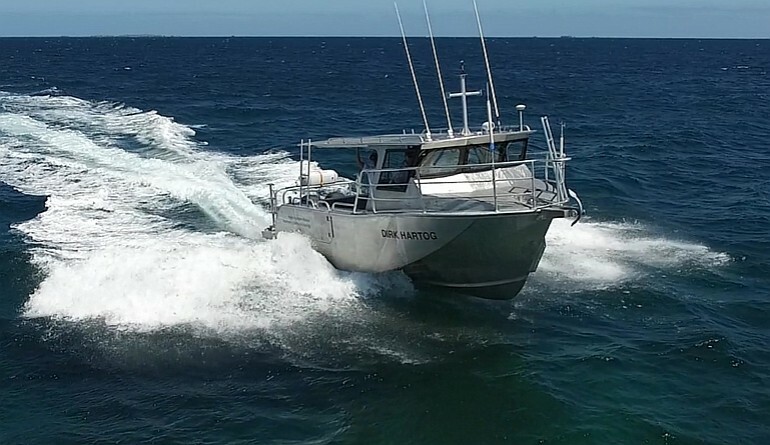 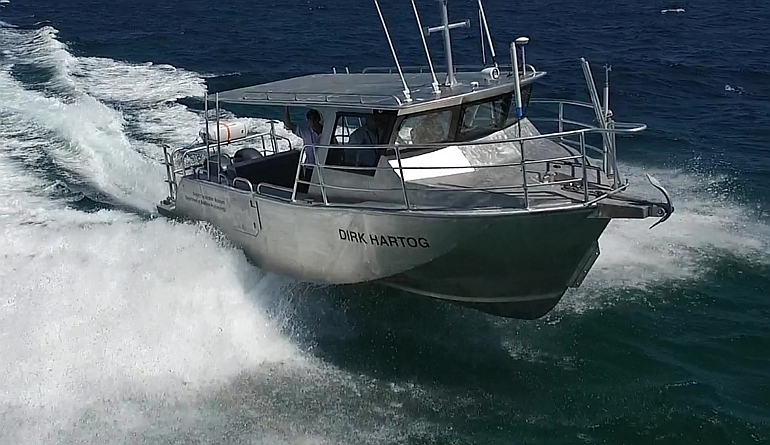 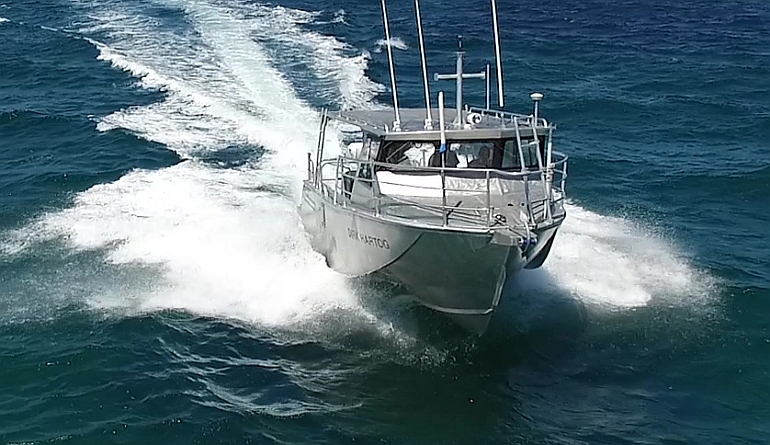 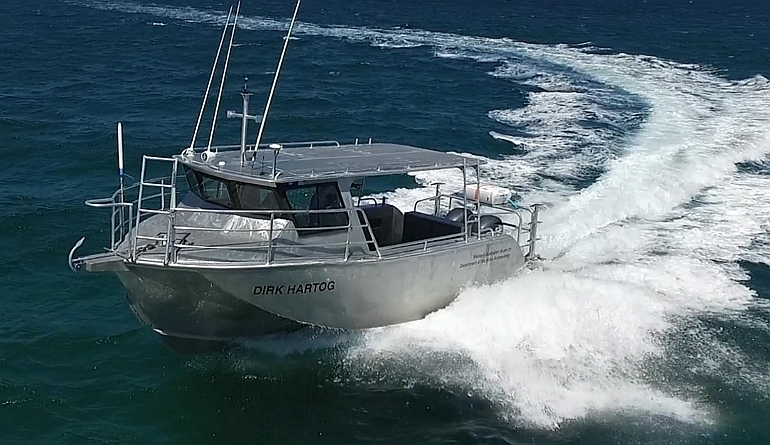 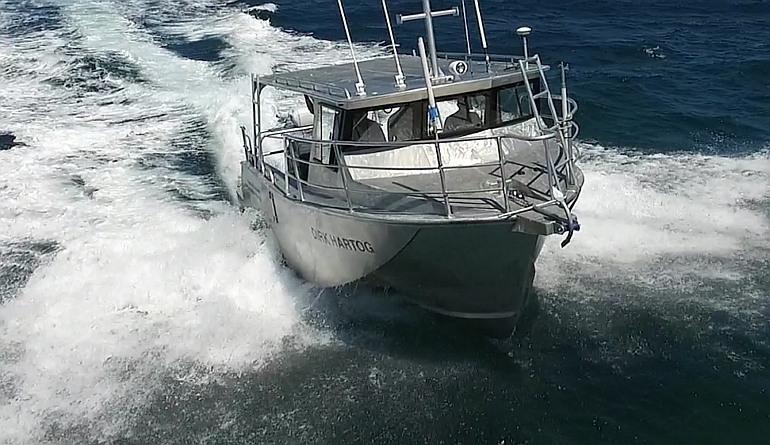 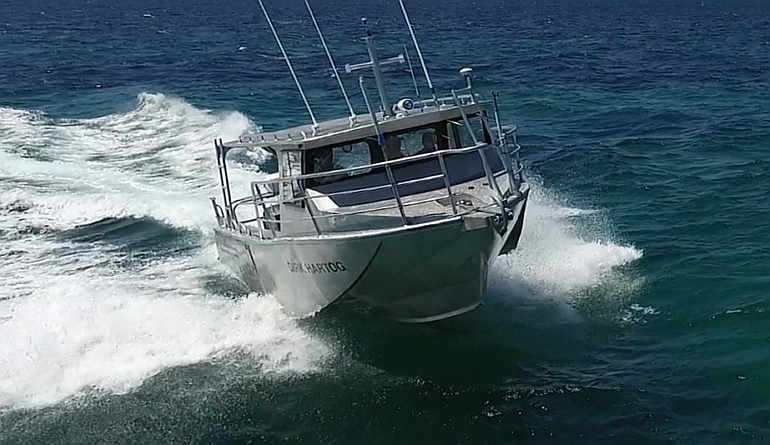 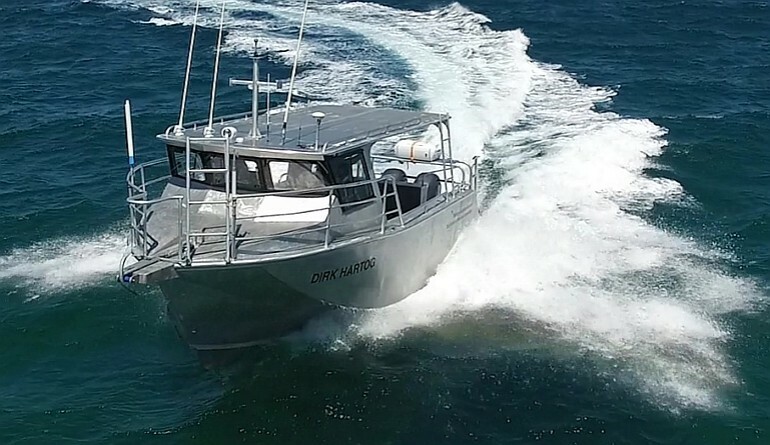 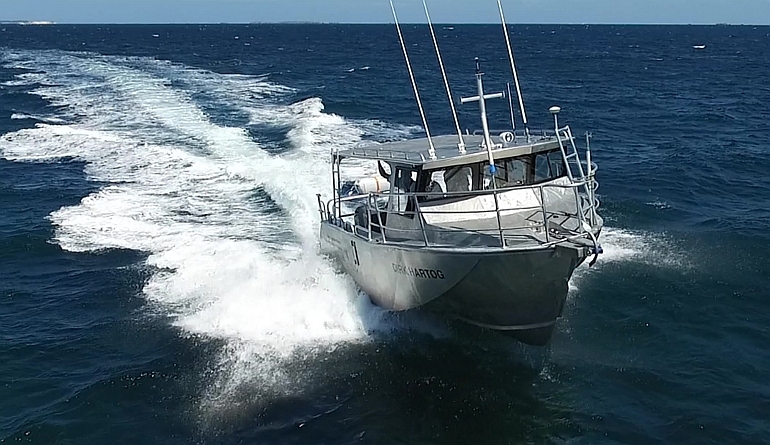 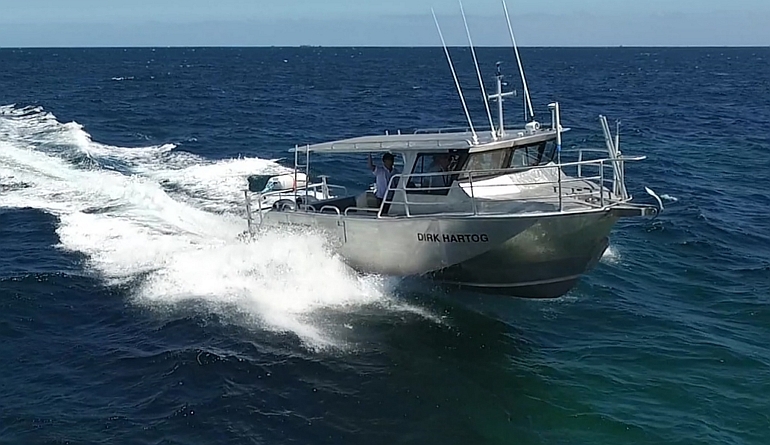 Sea trialled off the coast of Fremantle, Western Australia, the vessel achieved 32 knots sprint from the economical twin Yamaha 150hp outboards.